Fans Will Wig Out, Fly High and Get a “Kick” Out Of This Season’s Premium Giveaways, Theme Nights and More! It’s almost tip-off time at Quicken Loans Arena, and the Cleveland Cavaliers are gearing up to welcome fans back for the 2012-13 season! 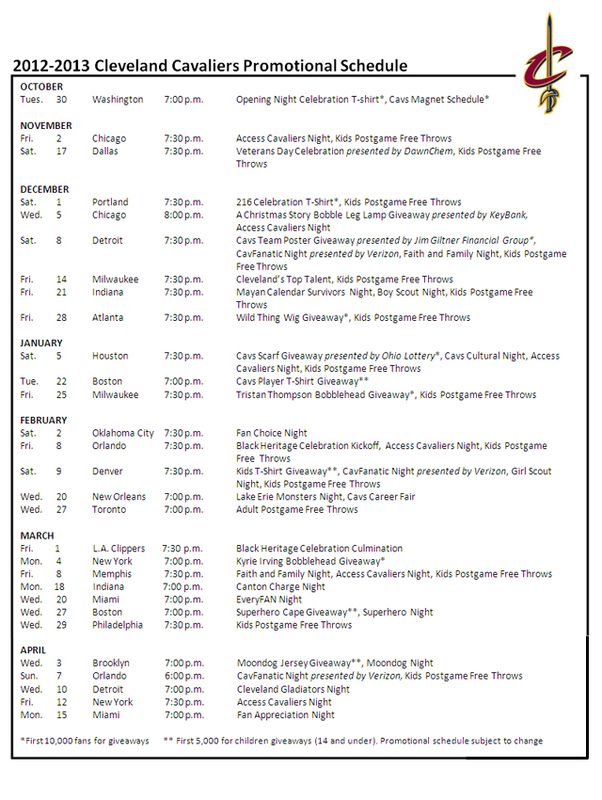 The Cavs have announced the promotional schedule for the 2012-13 season, featuring a long lineup of premium fan giveaways and special theme nights. With fans already looking forward to being back at The Q for Cavs basketball, they’ll also be excited to see a bold new look on the court! Suited up in their NEW GOLD UNIFORMS, the Cavs will make a bold on-court debut for their home opener against the Washington Wizards on October 30th at 7:00 p.m. The gold uniform will serve as their permanent official alternate to the home white uniform and will be worn substantially throughout the season. The authentic adidas® uniforms feature a bright gold jersey with deep wine “CAVS” wordmarking across the chest. Similar to the distinctive features on the current primary home and away uniforms, the Cavaliers “DNA” statement “All For One. 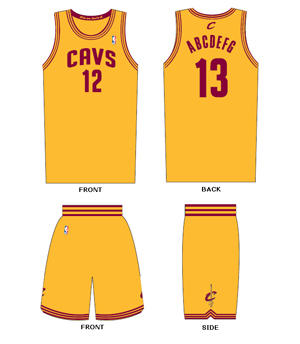 One For All” is printed on the inner-collar, the Cavaliers “C” is centered below the neckline and the secondary logo “C-sword” appears on both sides of the shorts. Get Your Gold On! The Cavaliers Team Shop will be the first to make available the gold replica and swingman jerseys before their big debut on Opening Night. Available now, fans can stop by the Cavs Team Shop at The Q or shop online at CavaliersTeamShop.com and be the first to own this brand new piece of Wine & Gold gear! It’s time for fans to lock in their seats at The Q to see the Cavs in action, enjoy the award-winning game presentation, special theme nights and a fresh lineup of incredible collectables that will be part of the Cavaliers experience night after night in downtown Cleveland! 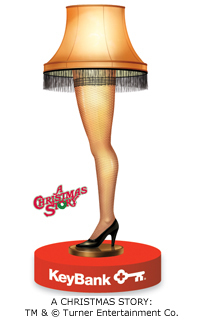 Fans will take home a classic Cleveland icon as A Christmas Story Bobble Leg Lamp Giveaway presented by KeyBank kicks off the holiday season at The Q, and 2011-12 NBA Rookie of the Year Kyrie Irving and 2011-12 All-Rookie Selection Tristan Thompson will give a nod to fans when each have their bobblehead giveaway debuts. Back by popular demand, Anderson Varejao Wild Thing Wig Giveaway will have fans flipping their wigs with their own “Wild Thing” hairdo! Special kids giveaways are also scheduled for the 2012-13 season, including a Cavs player t-shirt giveaway, Superhero Night with a superhero cape giveaway and Moondog Night with a Moondog jersey giveaway! Fan Appreciation Night will mark the final home game of the regular season and a chance for the Cavs to say THANKS to the greatest fans in the NBA with giveaways galore and more than $1 MILLION in prizes! Continuing a Fan Appreciation tradition, lucky fans will be chosen at random to come down to center court immediately following the game, where Cavs players will literally give away the shirts off their backs and shoes off their feet. Throughout the season, Cavs fans will enjoy a collection of memorable theme nights at select home games! 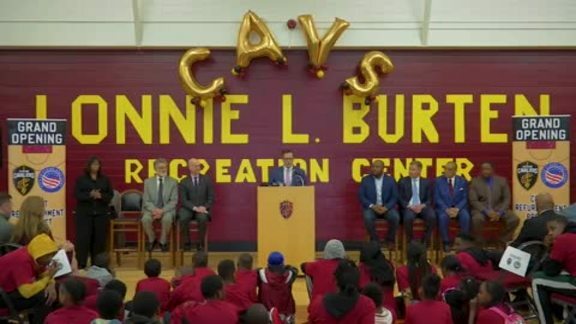 Some of these exciting promotions include “Fan Choice Night,” where fans will be given the ability to make game-time decisions and create a truly unique in-arena experience through the use of Cavs social and mobile media. “Mayan Calendar Survivors Night” on December 21st will turn The Q into the biggest party in Cleveland, fitting for the “end of the world!” And with a KABOOM! BAM! POW!, “Superhero Night” will take fans up, up and away for an animated evening! The loudest and proudest fans in the NBA will “Stand Up and Stand Out” as CavFanatic Night presented by Verizon will be dedicated to the loyal members of CavFanatic.com, the Cavs official social networking site. Fanatics will be invited to an exclusive pre-game reception and have a chance to win great prizes throughout the night! The ninth annual Black Heritage Celebration (BHC) will pay tribute to African American achievement with signature game nights, special events and presentations in honor of Black History Month. Giving families a more affordable way to be a part of the Cavaliers excitement this season, Family Nights return to The Q for 17 Cavs home games. The Family Night package includes four Cavs tickets, four hot dogs and four sodas starting as low as $79, or $19.75 per person. Back by popular demand, Access Cavaliers Night gives fans an exclusive chance to go behind the scenes! Each package includes a game ticket, admittance to a pregame all-you-can-eat buffet and a Cavs t-shirt. Packages start at $35 per person. Additional Cavaliers promotional nights and premium giveaways may be announced throughout the season. For a complete schedule of 2012-13 promotional giveaways and theme nights, and for ticket information, fans can call 216-420-2287 or 800-820-CAVS or CLICK HERE. Full season tickets are on sale now for fans to secure guaranteed seats to ALL of the biggest games of the 2012-13 Cavs season. Now is the time for fans to lock in the best available price for the same great seats to see the Chicago Bulls (November 2 and December 5), L.A. Lakers (December 11), Oklahoma Thunder (February 2) and Miami Heat (March 20 and April 15) at The Q. Call 1-800-820-CAVS to learn more about a limited time offer of special incentives that include additional free games, a suite ticket to the Lakers game and food and beverage credits. The Cavs are also offering two partial season ticket plans featuring a mix of the hottest games, marquee matchups and weekend and weekday dates. The 11 and 22-game plans start at $209 and offer ticket holders exclusive, added-value benefits and the fun of being a part of the best fan entertainment experience in the NBA. Unique Fan Experience packages for group outings (10 or more tickets together) are also available for each Cavs home game. Discounts are available for select games. For more information on special group seating, or to place an initial $200 group payment call 216-420-2153 or visit cavs.com/groups. The Cavaliers will host three preseason home games at Quicken Loans Arena on Monday, October 8th vs. Montepaschi Siena (Euroleague) 7:00 p.m.; Saturday, October 13th vs. the Washington Wizards at 7:30 p.m.; and Tuesday, October 23rd vs. the Indiana Pacers at 7:00 p.m.
For more information or to purchase full or partial season ticket plans, groups, preseason games, or for general ticket information visit cavs.com or call 1-800-820-CAVS.